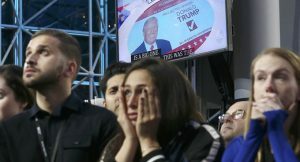 Political leaders in the Baltic states of Estonia, Latvia and Lithuania still can’t seem to calm down over Donald Trump’s victory in the US presidential election. RIA Novosti political commentator Mikhail Demurin suggests the elites’ main fear is that the new US administration will stop serving as the “undisputed patron” of these countries. Commenting on his observations of the Baltic countries’ reactions to Trump’s win, which have ranged from inflated fears of Russia ‘planning an invasion‘, to intensified efforts to cozy up to NATO, to anger over America’s expected ‘betrayal‘, Demurin suggested that on first glance, the Baltic nationalists’ position seems like a contradiction. 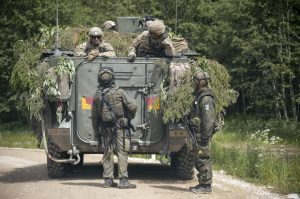 “This explosive mixture is concealed by rhetoric about the need to ensure the Baltic nations’ sovereignty and security, and to protect them against the alleged threat of aggression by Russia,” Demurin explained. 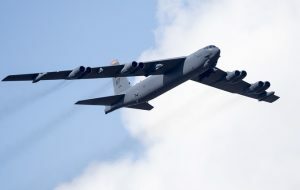 But the reality that authorities in Estonia, Latvia and Lithuania don’t realize, or choose to ignore, he added, is that in the event of an actual conflagration with Russia, their territories will be likely be turned into a pile of smoldering ruins, and from US and NATO missiles and bombs at that. As far as the impact Trump’s election will have on Baltic security, Demurin suggested that it could actually make the Baltics more, not less, safe. After all, NATO and Pentagon planners never quite could explain what would motivate Russia to lose its mind and invade three NATO members, thus risking nuclear war with the entire Western alliance. Amid improved relations between Washington and Moscow, such a scenario would look even more absurd. © SPUTNIK/ SERGEY STEPANOV NATO troops at a range in Estonia participating in the Saber Strike-2016 exercises, June 2016.